“Script Barn” for easy install of WordPress, Joomla, etc. Get started on Web Hosting Hub now. 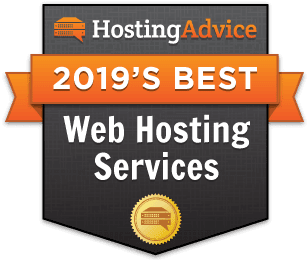 Take-aways from our reviews of the best cPanel hosting providers: The top plans include a free cPanel license, 24/7 customer support, and beginner-friendly site builder options. Find the best hosting — with cPanel and/or other intuitive management panels included — with the top web hosts listed in our experts' summary table below. Okay, what is a "cPanel," really? Let's back up to the basics of control panels for hosting before you buy. My Googling friend makes a great point: cPanel is essentially the gold standard in web panels. Users love it for its intuitive layout, the number of management features it touts, and the fact that many of the web’s best hosting providers include it for free in their packages. Below, I’ll cover anything and everything there is to know before signing up with a cPanel host. In short, cPanel is what’s known as a web panel — a hub for managing elements of your hosting plan. These days, when you sign up for hosting, it’s expected that you’ll be equipped with some sort of graphical user interface (GUI) system that serves as your main dashboard for managing your hosting services. Interfaces, like cPanel, Plesk, WebPanel, and others, allow even non-technically savvy hosting customers to manage their domains, email accounts, servers, and databases. Leading the market is one of the most well-known names in server management: cPanel. This intuitive interface is so sleek and accommodating that fairly entry-level users will seek it out as they’re shopping for hosting plans (as in the case of my friend). While it’s technically a premium (not free) panel, the point-and-click software is so popular that many of the web’s best hosting providers include a free cPanel license in their plans. With cPanel, users can access and manage their domains, email accounts, and database system files. You can edit and back up important site files and store large amounts of pertinent data in multiple MySQL and PostgreSQL databases. With access to “apps galore,” according to their site, cPanel offers easy installation of your favorite scripts, web applications, content management systems, and eStore features. Finally, the panel acts as your headquarters for keeping your server(s) secure. Set up SSL (Secure Sockets Layer) security or TLS (Transport Layer Security) protection, password-protect certain files or directories, or block certain IP addresses from accessing your system. Easy installation of apps for blogging, eCommerce, SEO marketing, etc. Note that included features can vary based on the plan you sign up for with your host. For example, some hosts may prevent customers from SSH-ing into their server(s). Others may limit the number of databases or domains you can have. A cPanel host is just a web host that allows you to use cPanel to manage your servers. Rightfully so, we believe some of the best hosting providers include the popular web panel for free for their customers. However, there are other facets of a hosting package that are important to cPanel hosting shoppers — some more important to certain users than others — and I’m here to point those out to you all. The cPanel hosting audience is diverse. Members range from first-time users to experienced developers, so their needs and what appeals to them about this control panel varies — another toast to cPanel’s broad appeal! Shared hosting users love the platform for the 1-click installations, easy access to webmail, and all-around intuitive interface for adding functionality and security measures to their sites. Meanwhile, those using cPanel for VPS or dedicated hosting are typically drawn to the more technical perks, like root/admin and SSH access, logfile reporting, and easy database management. Everyone should love and appreciate cPanel for site backups. 1-click app installs for WordPress, Magento, Joomla, PrestaShop, etc. That’s not to say that a host that doesn’t throw $250-worth of search engine marketing credits at you for signing up isn’t a solid, reputable option for web hosting with cPanel. These are just the features that, based on our experience, the majority of cPanel hosting customers are looking for or will benefit from. As you’re browsing our cPanel reviews, surely price is an influential factor on your mind. A cPanel license for a VPS will cost you about 20 bucks a month, while a dedicated server cPanel account goes for about a $45 monthly rate. Note that I skipped over shared, because these accounts are held by the web host. A provider will either charge their cPanel customers a license fee at a reduced rate or, more commonly, include the cPanel license as a free perk. The easiest way to get cheap cPanel hosting is to opt for a host that includes a free license in their hosting plan. With some of the top-rated, most affordable hosts we’ve reviewed, you can get cPanel for free by simply paying the $2 to $5 a month for hosting. It doesn’t get much cheaper than that, folks. Here’s the deal: You can get cPanel for free with super cheap hosting, or you can get hosting that’s free (and pretty shoddy, honestly) and pay for a cPanel license. Getting free hosting and free cPanel is not on the table. Dealer’s choice: $20 a month for a cPanel license and a poorly-performing-but-free VPS, or $2 to $25 a month for exceptional hosting with a free cPanel account? Looking for a cPanel Alternative? Not loving the idea of cPanel for whatever reason? There are other useful panels on the market, but keep in mind that none are as popular and intuitive as cPanel. Some I’ve already mentioned, like Plesk and WebPanel, fall into the premium panel category. If you want an open-source (free) cPanel alternative, WebMin, ISPmanager, and ISPConfig are some of our favorite options.